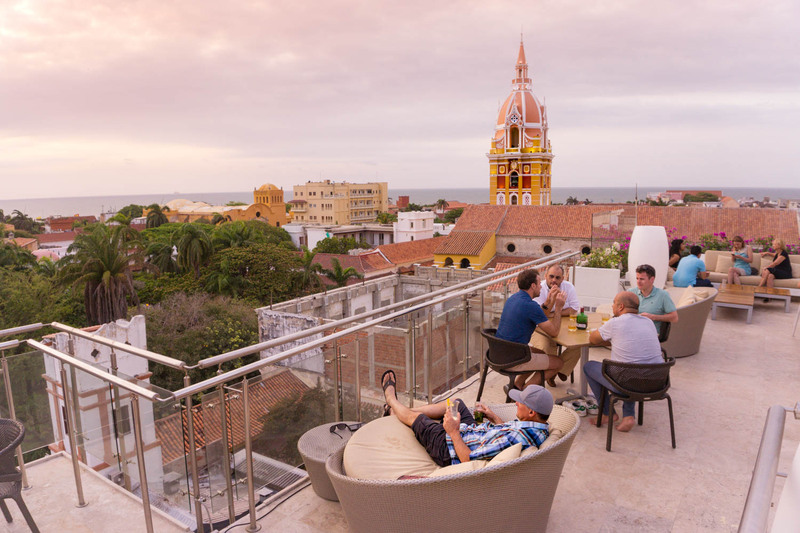 Of all the cities in the world, Cartagena is a special kind of picturesque. 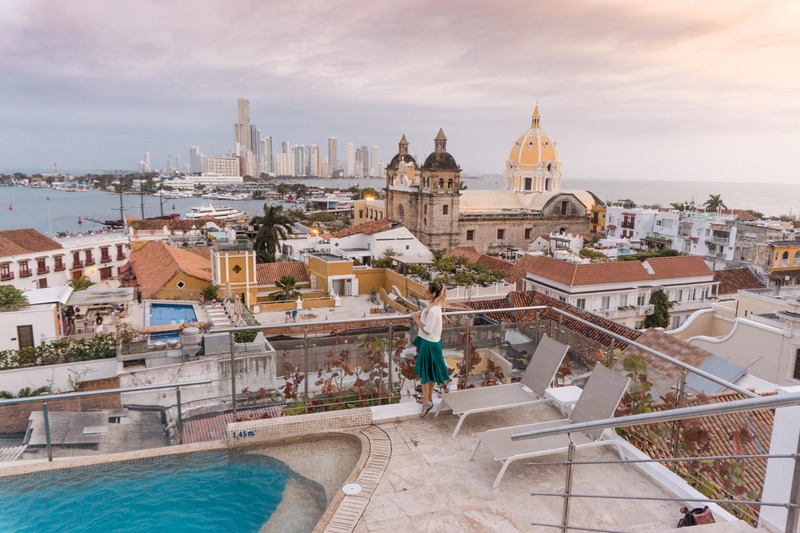 The level of Instagrammable spots in Cartagena is off the charts. 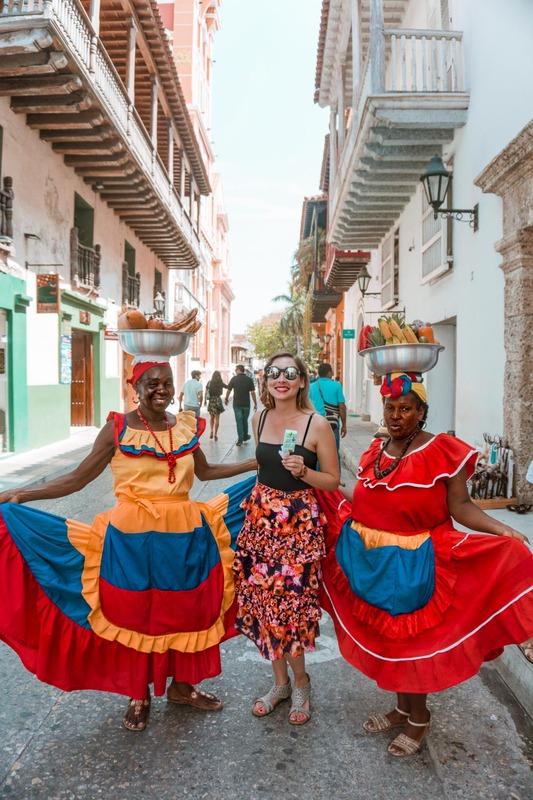 The colonial architecture, the bougainvillea draped all over, the sunsets lighting up the sky, the vibrant buildings and massive doors, the colorfully dressed ladies with fruit bowls on their heads…it all makes Cartagena a deliciously photogenic scene. 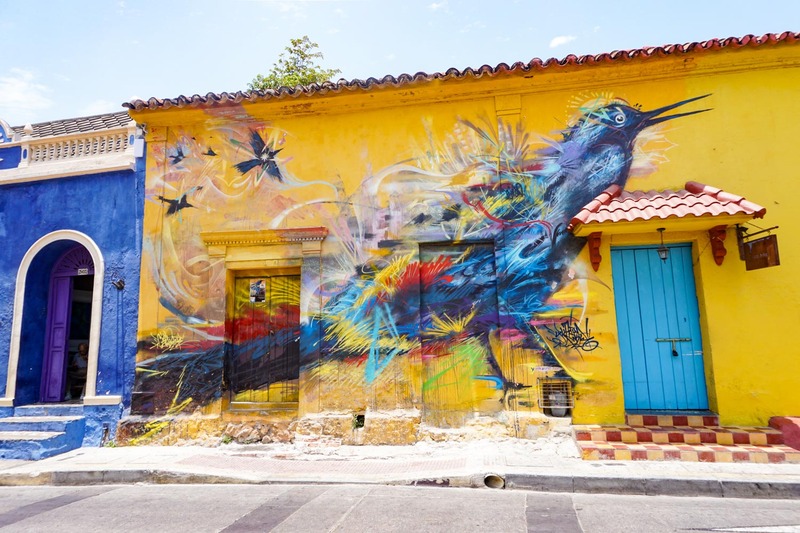 So where are these Instagrammable photo spots in Cartagena? 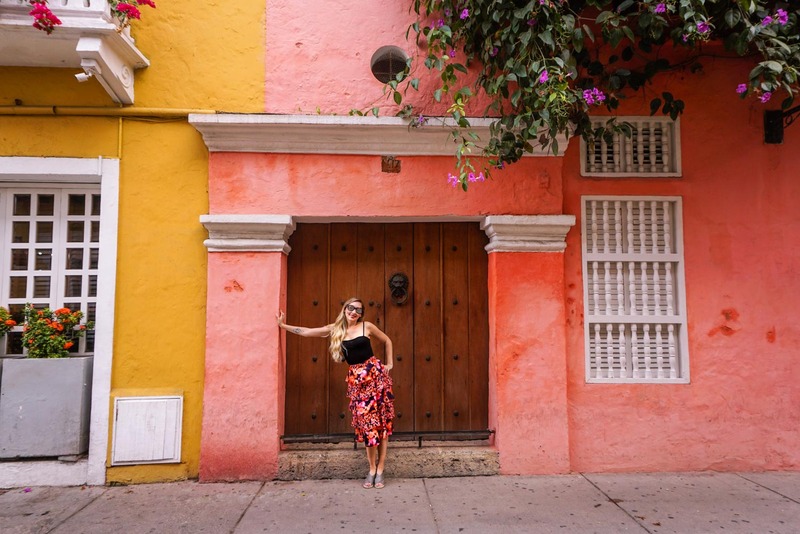 Here are my picks for the best photo spots in Cartagena. This particular street in the walled Old City has a lot of great shops and restaurants, the beautiful costumed ladies with fruit baskets often hang around here to grab you and take pictures, subsequently forcing you to tip them, and the stunning cathedral looms in the background. Carreras run north and south and Calles run east and west. The intersection between Calle 36 and Carrera 4 is a great landmark. 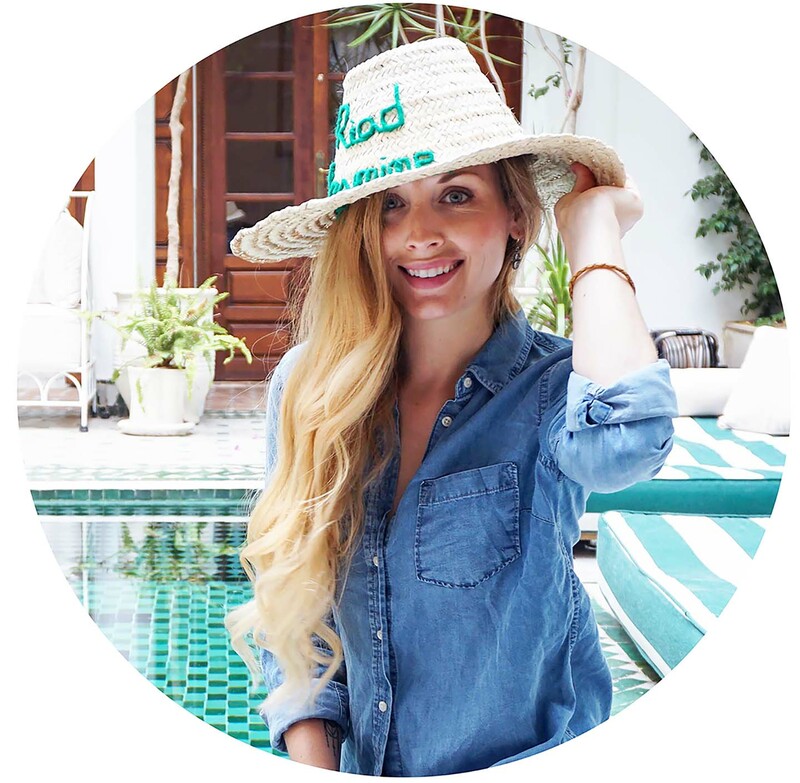 It leads us to my favorite coffeeshop in Cartagena, and next Instagrammable spot in Cartagena. **This post may contains affiliate links. I may make a small commission from these links at no extra cost to you. See my complete DISCLAIMER. When I stumbled upon this book store, my heart leapt with joy. It is so quaint and picturesque, we went here every morning for coffee (and to take pictures). They are very friendly there and it’s so fun to let the atmosphere of books fill you with appreciation. The coffee is great too, which pretty much solidified the fact that this is my favorite place in Cartagena. 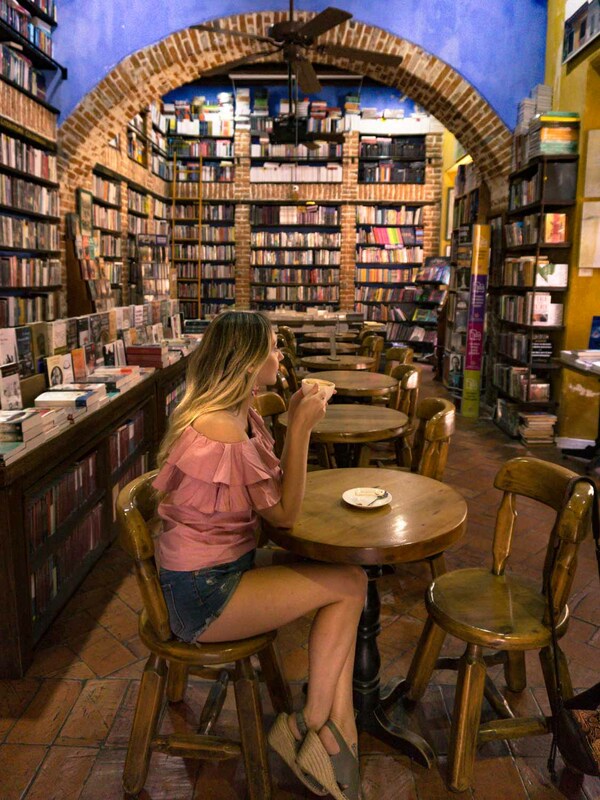 As mentioned above, you can find this bookshop on the corner of Calle 36 and Carrera 4. A good reference for finding this street (and an awesome restaurant for a healthy, Aussie breakfast vibe) is Cafe Stepping Stone. 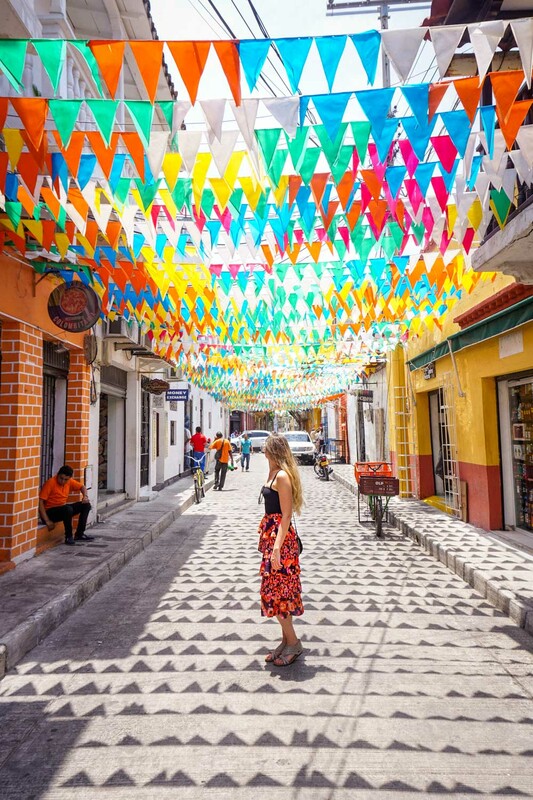 This street has colorful flags and a great vibe. 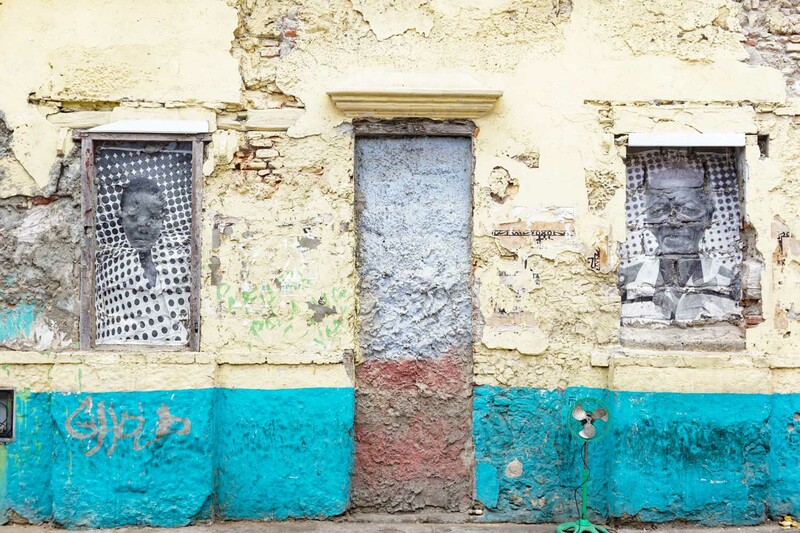 This fantastically edgy street is also in Getsemani and has the best artist vibe. 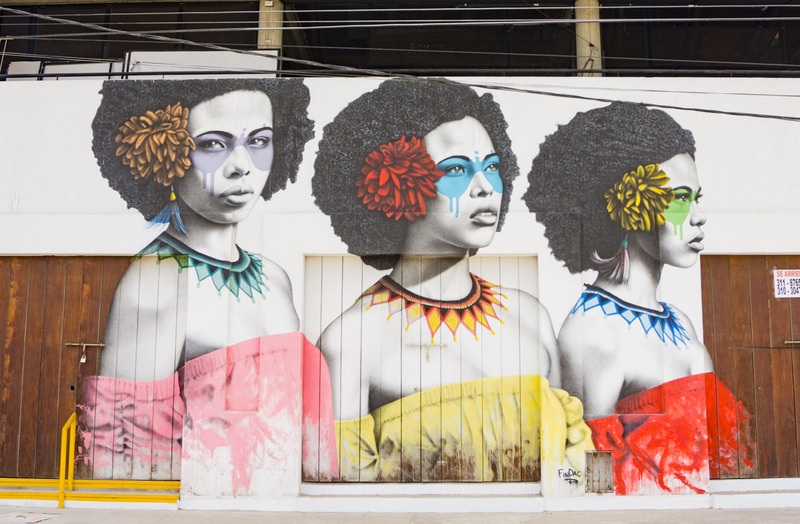 Street art abounds and the neighborhood is bustling with amazing restaurants. Don’t miss Café del Mural for some of the best rated, creative coffee. It was closed when we came by and I’m so bummed I didn’t get to try it. Not far at all from the last mentioned street, Calle 28 is a little street we stumbled upon that I couldn’t help but dance down! The narrow street was practically empty of people, colorful, and strung with beautiful flags. I mean, seriously Instragrammable. I think this may have been the most photogenic street in Cartagena. 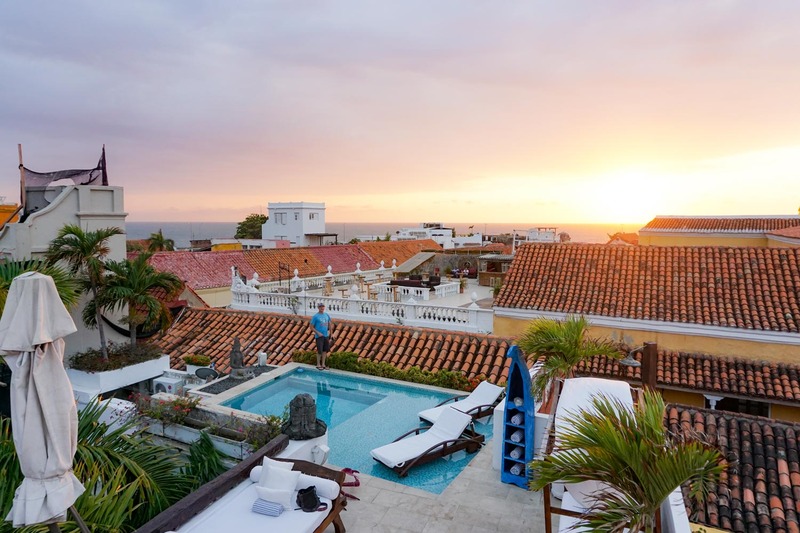 You can google map “Yoga Lives” to find this picture perfect location in Cartagena. Google map this hotel and you’ll love this street in the northern area of the old town. 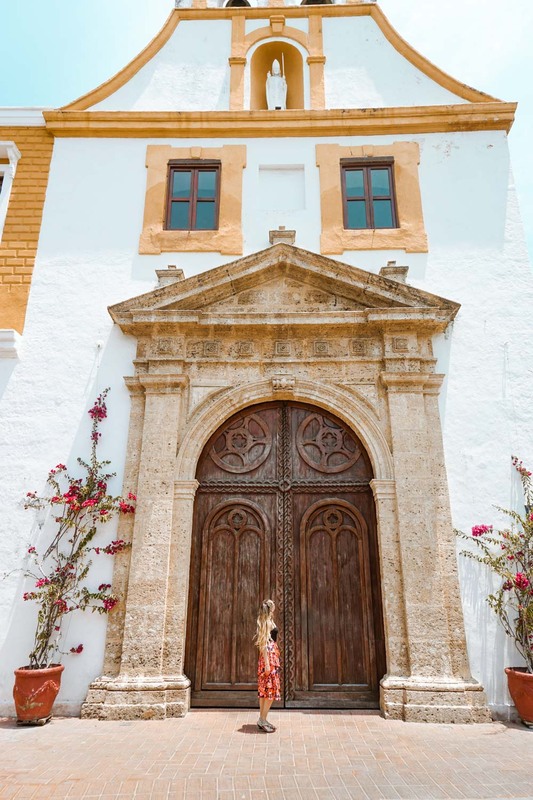 I like big doors and I cannot lie. And Cartagena is full of them. This particular one was one of my favorites. It is right next to the luxury Bastion Hotel and a short block or two from the previously mentioned Carerra 8. 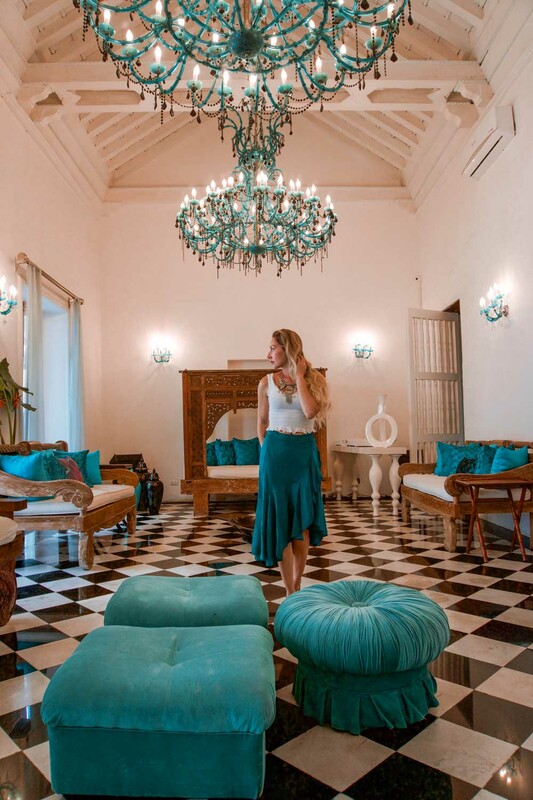 The Movich Hotel is a gorgeous hotel in a perfect location in the old city of Cartagena. But what makes it so ridiculously cool is the rooftop. Possibly the best views in Cartagena, you can’t miss getting a cocktail here for sunset and perhaps having a dip in their pool. 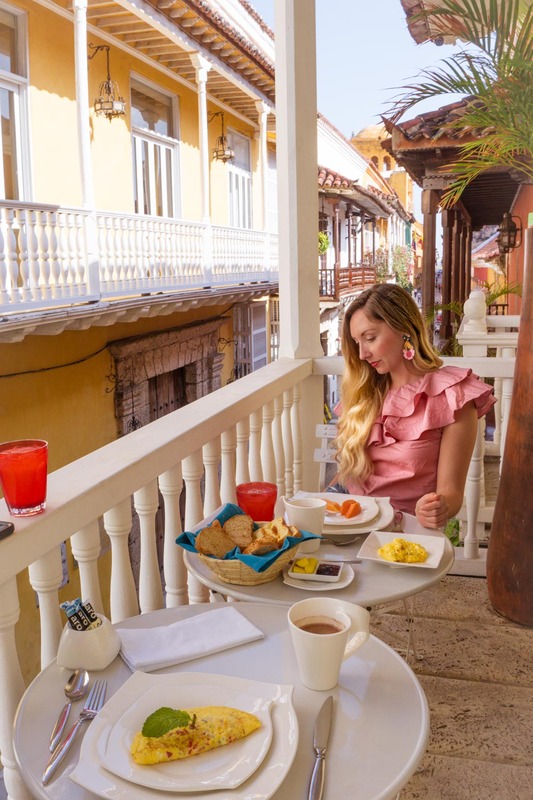 I may be biased since this was our hotel, but I put hours of effort into choosing it based on being photogenic and an awesomely Instagrammable Cartagena hotel. The room, the balcony, the rooftop pool and view all sold me. Absolutely awesome hotel and I’d stay again in a heartbeat. There is so much art around Getsemeni, it’s hard to list the locations for it all. Have a wander around and you’ll stumble upon so much creativity, you’re mind will be blown! 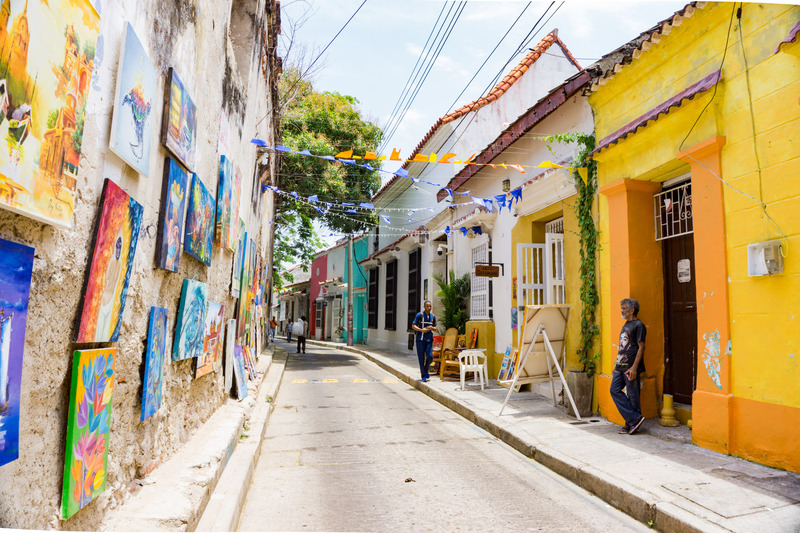 Cartagena is full of surprises and gems around every corner. 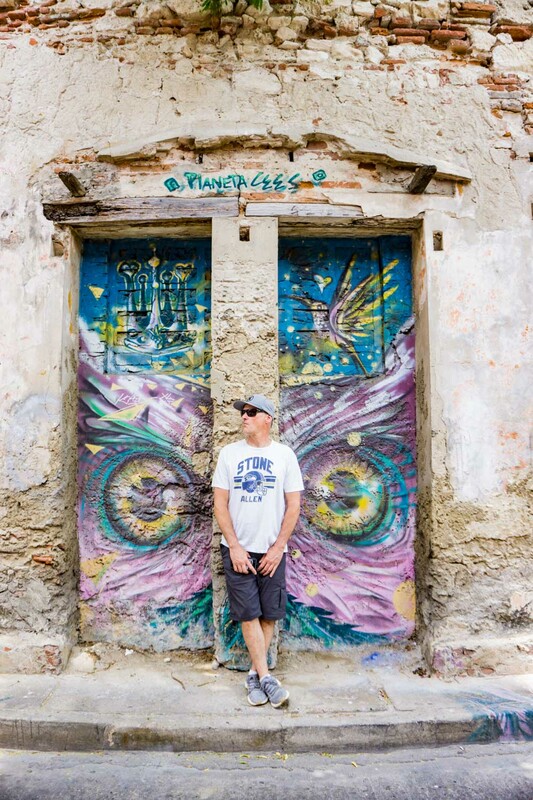 Hopefully you enjoyed this compilation of the best photo spots in Cartagena. 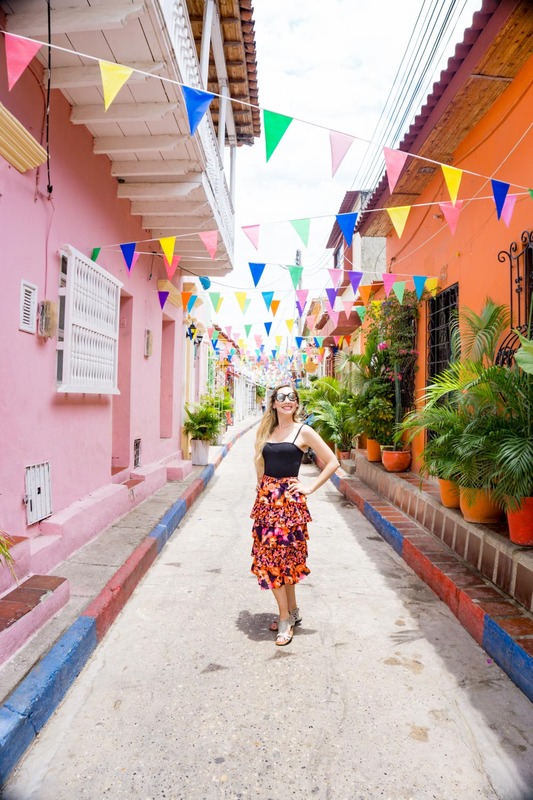 I’m sure you’ll come up with even more Instagrammable places of the best photo spots in Cartagena yourself! 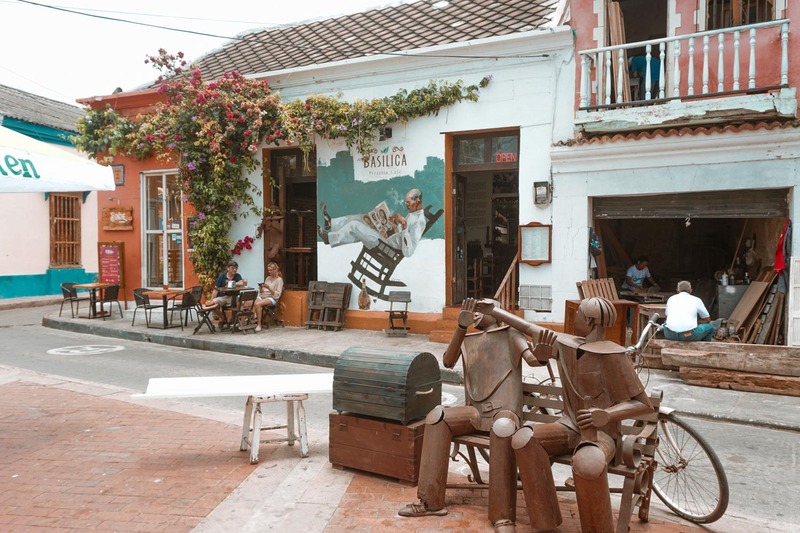 An incredible resource for all things Colombia and lesser known Colombian experiences is the experts over at Tom Plan My Trip. This entry was posted in Colombia, Destinations, South America and tagged colombia by Jessica Carpenter. Bookmark the permalink. Love your beautiful photos. My favorite is Carrera 10 in Getsemani. I have Cartagena on my list, its moving up now – after reading your post. So great to hear! Cartagena truly is one of my favorite cities ever. You’ll love it. Ugh I want to go here so badly!! I love how colorful it is. Seriously magical. And I of course appreciate the best photo spots round up! Pinning this for when I finally make it there. Yay! Thanks so much Christie! It is one of the most beautiful and photogenic cities I’ve ever seen. This was such a great guide! Writing it allll down! Thanks so much!